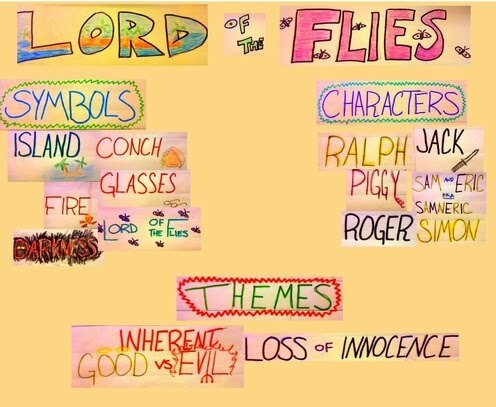 Lord of the Flies (LOTF) is a very rich text, with rich layers of meaning. This makes it the perfect text to discuss symbolism. We also focus on two themes and the development and change that happens in characters. The image below contains the list of items that we pay attention to (and each year the group picks up on something different). Students take notes in order to provide purpose for reading and prepare for the final product for this unit. The Lexile Score for Lord of the Flies is 770 - read more here. PROJECT PROPOSAL form SEE results here. Scroll down to download a PDF of the book.